What Are The Best Reasons Why We Should We Explore Space? It's difficult to look up on a clear night and not feel the pull to get out there, anywhere, and see a little more of the universe than the little blue marble that we've anchored ourselves on. But, when faced with the need to justify the money, time, and tech to get us there, what are the best reasons to explore space? In response to this piece on the progress of new prototype spacecraft, Orion, several commenters shared their responses for why space exploration was so important. NASA's data feeds many industries. Innovation doesn't happen in a vacuum - without a source of initial data, many of the technologies we have today wouldn't exist. NASA has been that source both directly (from NASA's engineers) and indirectly (Through NASA's funding of businesses and corporations who produce mission specific parts for NASA) for a lot of our modern technology. Lastly, Never underestimate the power of NASA to inspire. 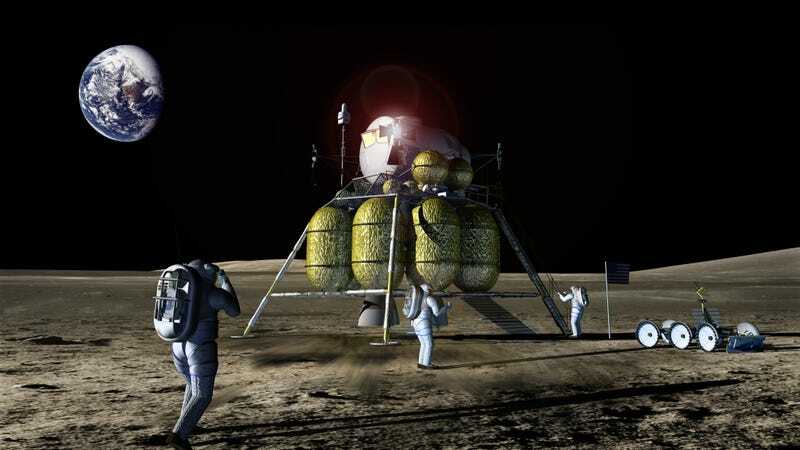 The Moon missions were some of the most costly missions ever undertaken by a governmental organization outside of a military operation. That said, if it were not for the Apollo missions, we wouldn't have the high-tech economy we have today. In a way, those missions inspired nearly two generations of kids to grow up and become scientists, technologists, engineers and mathematicians. They did so hoping they'd one day work on a NASA project or for a NASA mission. So many of them had this desire, NASA had the selection of the cream of the crop, and that left a glut of STEM field trained individuals in the real world. So what did these brilliant people do? They formed the backbone of every innovation that corporate America ever generated in the 70's through the 90's. It's highly likely that at some point in the future, a relative of yours will undergo a cancer treatment that was developed because of research performed in the microgravity environment of the ISS. It's important that Humanity become a multi-planetary species. We need to exist on some other planetary body, so that when the next extinction level event happens, we have a backup plan in place that will keep us going. On the ISS we are learning about how the human body is affected by long-term microgravity. This is helping us develop ways to counter the harmful effects that come along with it, and will one day give us the tools we need to survive for long periods in harsh, non-Earthlike environments. So in summary, if possibly saving a loved one's life and creating an insurance plan for preserving the entire species isn't important to you, then I guess the ISS is a complete waste. I wonder what would happen if one day, centuries away, we invented a robot that was at least as flexible as person in unpredictable situations and yet still cheaper than person to send into space? I don't know if it would fire our imaginations like Hadfield can but it is something to think about. Robots are inflexible, unable to adapt to conditions very far from predictions. Robots don't ignite the imagination nearly as much as human explorers, even in the perhaps somewhat humdrum ISS. Just look at Chris Hadfield. Of course, in addition to the pull of seeing what's out there and moving beyond our own little planet, the benefits of human space travel are already all around us here on Earth. As seen on this website from NASA, which traces the path of technologies that originally had their start in NASA research, space exploration has given us technology that does everything from teach us better ways to monitor our plants to improving our surgical tools. What do you think are the best reasons to explore space? Tell us what benefits of space travel most call out to you and why in the comments now.